We have been notified of two rezone applications from Resident 1 to Business 4 for properties 71 3rd Avenue (Erf 298) & 72 4th Avenue (Erf 370). The owner is the same for both properties, located adjacent to each other whereby the intention is to utilize both properties for offices. 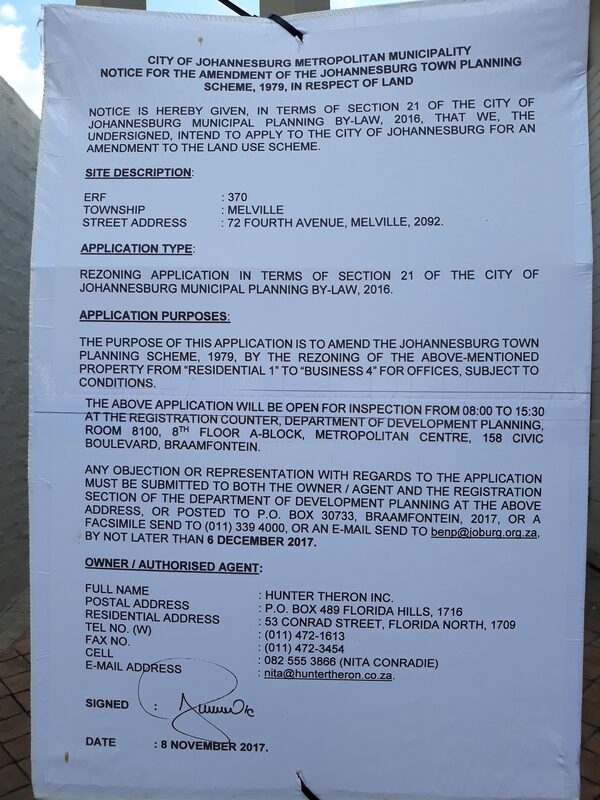 Notice is hereby given, in terms of Section 21 of the City of Johannesburg Municipal Planning By-Law, 2016, that we, the undersigned, intend to apply to the City of Johannesburg for an amendment to the land use scheme. SITE DESCRIPTION: Erf 298, TOWNSHIP: Melville, STREET ADDRESS: 71 3rd Avenue, Melville, 2092. 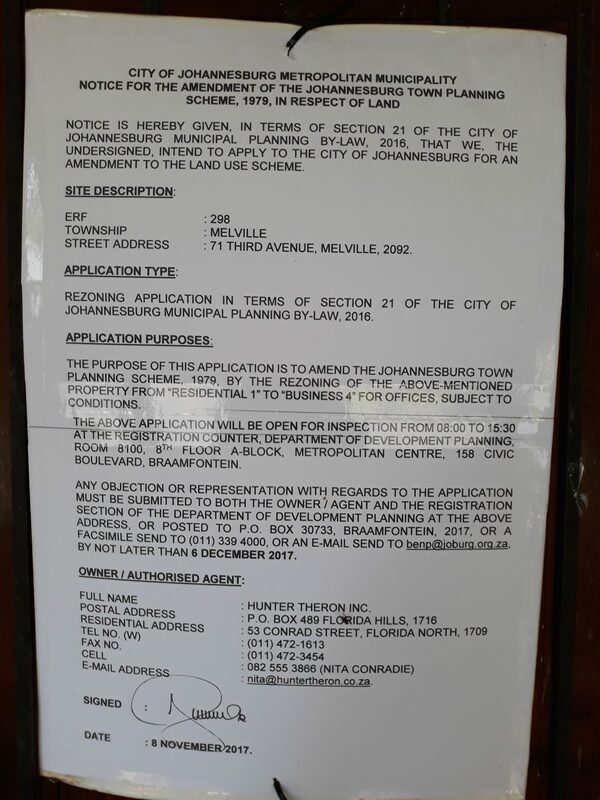 APPLICATION TYPE: Rezoning application in terms of Section 21 of the City of Johannesburg Municipal Planning By-Law, 2016. 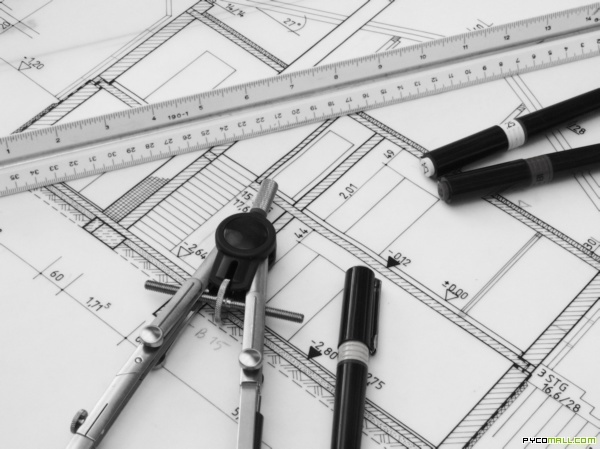 APPLICATION PURPOSES: The purpose of this application is to amend the Johannesburg Town Planning Scheme, 1979, by the rezoning of the above-mentioned property from “Residential 1” to “Business 4” for offices, subject to conditions. The above application will be open for inspection from 08:00 to 15:30 at the Registration Counter, Department of Development Planning, Room 8100, 8th Floor A-Block, Metropolitan Centre, 158 Civic Boulevard, Braamfontein. Any objection or representation with regards to the application must be submitted to both the owner / agent and the Registration Section of the Department of Development Planning at the above address, or posted to P.O. Box 30733, Braamfontein, 2017, or a facsimile send to (011) 3394000, or an e-mail az.gro.grubojnull@pnebotdnes. by not later than 6 December 2017. Motivation: Accessibility – the arterial routes mentioned (Main, Beyers Naude, 3rd and 4th Ave and 7th St). The area in which the site is located, especially within the block it’s located, has already experiences business developments such as 27 Boxes shopping mall and a few restaurants. Saw potential for similar business purposes. further extension of the economic activities in the area. will strengthen mixed use land use nature of Melville area without affecting remaining residential character of the area. Need and desirability: Intention to legalize the use; provide work opportunities close to residential areas; impact on existing housing stock is minimal; no negative impact on character or value – using existing structure. Motivation: Accessibility – the arterial routes mentioned (Main, Beyers Naude, 3rd and 4th Ave and 7th St). The area in which the site is located, especially within the block it’s located, has already experiences business developments such as th 27 Boxes shopping mall and a few restaurants. Saw potential for similar business purposes. further extension of the economic activities in the area. will strengthen mixed use land use nature of Melville area without affecting remaining residential character of the area.